Cut the green beans into halves or thirds- depends on the length, and put in pot with boiling water. Cover and cook until tender- approximately 20 minutes. Drain and run under cold water. Let dry. Whisk together the olive oil with the balsamic vinegar, garlic, salt and pepper. 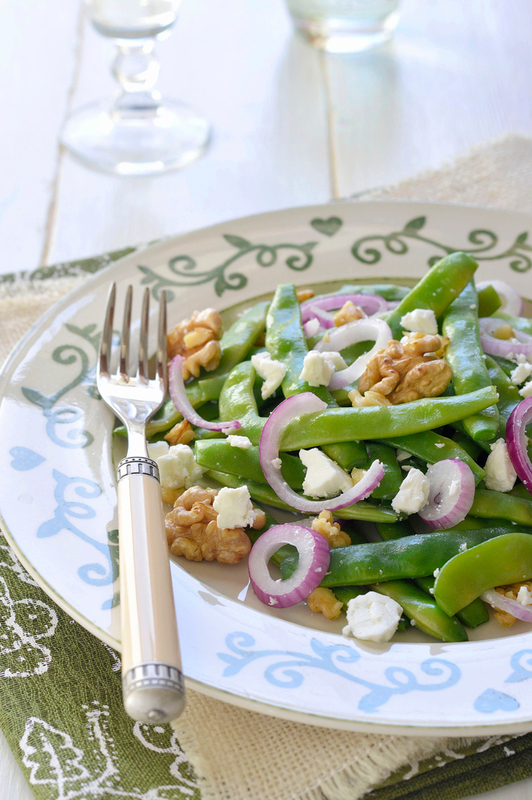 In a large bowl mix green beans, onion, feta and walnuts. Pour the vinaigrette over the green bean mixture. You can serve immediately or you can chill the salad for a while in the fridge before serving.